To claim this profile, please confirm you are Aaron Sumrall. To follow this profile, please let us know your relationship to Aaron Sumrall. Aaron was tagged in the video "hand save." Aaron's lacrosse stats have been updated for the loss vs. Soddy Daisy. The Boyd-Buchanan varsity lacrosse team lost Tuesday's home non-conference game against Soddy Daisy (TN) by a score of 14-8. 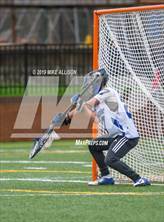 Aaron's lacrosse stats have been updated for the loss vs. Evangelical Christian. RESULTLoss Boys varsity lacrosse vs. ECHS. The Boyd-Buchanan varsity lacrosse team lost Saturday's neutral non-conference game against Evangelical Christian (Cordova, TN) by a score of 18-2. Aaron's lacrosse stats have been updated for the win @ The Webb School. RESULTWin Boys varsity lacrosse @ The Webb School. The Boyd-Buchanan varsity lacrosse team won Friday's away conference game against The Webb School (Bell Buckle, TN) by a score of 15-0. Aaron's lacrosse stats have been updated for the loss vs. Pope John Paul II. RESULTLoss Boys varsity lacrosse vs. Pope John Paul II. The Boyd-Buchanan varsity lacrosse team lost Saturday's neutral non-conference game against Pope John Paul II (Hendersonville, TN) by a score of 18-1. Aaron's lacrosse stats have been updated for the loss vs. Signal Mountain. The Boyd-Buchanan varsity lacrosse team lost Tuesday's home non-conference game against Signal Mountain (TN) by a score of 11-4. Aaron's lacrosse stats have been updated for the loss @ Webb. The Boyd-Buchanan varsity lacrosse team lost Friday's away conference game against Webb (Knoxville, TN) by a score of 13-4. Aaron's lacrosse stats have been updated for the loss vs. Dalton. RESULTLoss Boys varsity lacrosse vs. Dalton. The Boyd-Buchanan varsity lacrosse team lost Tuesday's home non-conference game against Dalton (GA) by a score of 9-7. Aaron's lacrosse stats have been updated for the win vs. Knoxville Catholic. RESULTWin Boys varsity lacrosse vs. Knoxville Catholic. The Boyd-Buchanan varsity lacrosse team won Saturday's home conference game against Knoxville Catholic (Knoxville, TN) by a score of 6-2. Aaron's lacrosse stats have been updated for the loss vs. Christian Academy of Knoxville.